This eye-opening study provides evidence of another benefit from the super antioxidant power of propolis. This is important news for those suffering from diabetes, as sugar cataracts are common. Previous studies have also determined propolis to be a safe antidiabetic alternative for diabetics to consume propolis even at 50-200mg/kg/BW. This study investigated the effects of oral propolis on the progression of galactose-induced sugar cataracts in rats and the in vitro effects of propolis on high-glucose-induced reactive oxygen species (ROS) and cell death in cultured rat lens cells (RLECs). Galactose-fed rats and RLECs cultured in high glucose (55 mM) medium were treated with propolis or vehicle control. Relative lens opacity was assessed by densitometry and changes in lens morphology by histochemical analysis. Intracellular ROS levels and cell viability were measured. 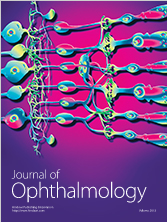 Oral administration of propolis significantly inhibited the onset and progression of cataract in 15% and 25% of galactose-fed rats, respectively. RLECs cultured with high glucose showed a significant increase in ROS expression with reduced cell viability. Treatment of these RLECs with 5 and 50 μg/mL propolis cultured significantly reduced ROS levels and increased cell viability, indicating that the antioxidant activity of propolis protected cells against ROS-induced damage. 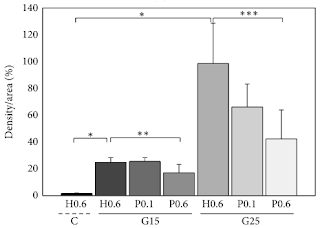 Propolis significantly inhibited the onset and progression of sugar cataract in rats and mitigated high-glucose-induced ROS production and cell death. These effects may be associated with the ability of propolis to inhibit hyperglycemia-evoked oxidative or osmotic stress-induced cellular insults.